In the final weeks before the winter break, the Bundesliga is turning up the heat once again. 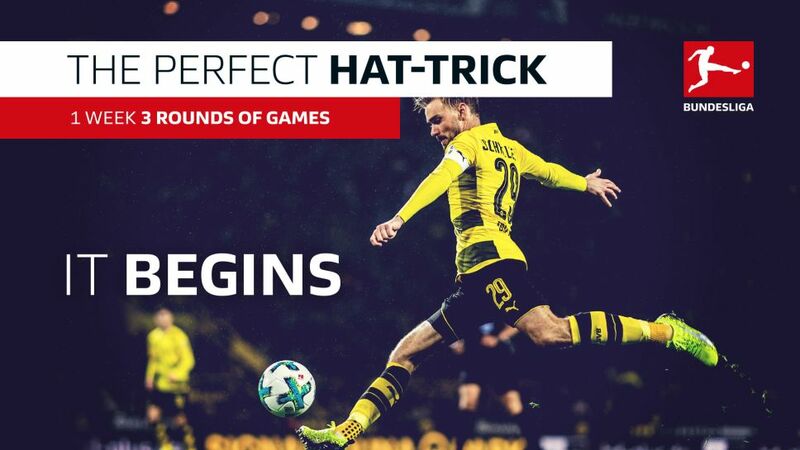 With 27 matches in the space of 10 days, Bundesliga fans will want to have their eyes glued to each and every moment of this blockbuster festive period. Click here to see which games are on TV where you are! All the possible changes in the Bundesliga table through Matchday 15. The very top and bottom positions are the only spots that will not look different beyond Matchday 15, which starts on Friday night as VfB Stuttgart host Bayer Leverkusen. Heiko Herrlich’s side can climb up to fourth place with a win, Stuttgart up three places to tenth should they collect all three points. Leverkusen would be the biggest movers of the weekend with a win, while Schalke could drop five places to eighth should results not go their way. VfB Stuttgart vs. Bayer Leverkusen - LIVE blog! Borussia Dortmund vs. Werder Bremen - LIVE blog! Eintracht Frankfurt vs. Bayern Munich- LIVE blog! Borussia Mönchengladbach vs. Schalke - LIVE blog! Cologne vs. Freiburg - LIVE blog! Hannover vs. Hoffenheim - LIVE blog! Augsburg vs. Hertha Berlin - LIVE blog!